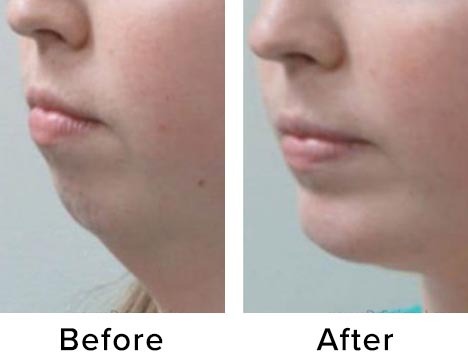 The chin can be reshaped in a number of different ways, the most popular of which is with an implant or by contouring the bone and tissue surrounding the bone. For either option, a small incision is made in the mouth between your front lower teeth and the bottom of your lip. In some rare cases, an incision may also be made under the chin. 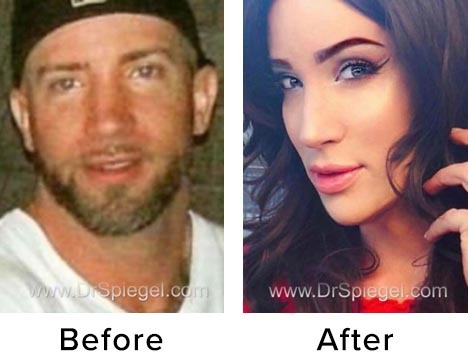 Dr. Spiegel is able to expertly contour the bone and tissue and reshape it to give you a more attractive and balanced chin. The tissue surrounding the chin is extremely dense and fibrous. Dr. Spiegel is able to stitch this tissue into the desired position and the tissue will heal in that preferred position. When an implant is used, he makes a small pocket by the chin and a natural feeling surgical implant is then placed to add just the right shape to your chin. These implants come in a variety of size and are typically made of a solid silicone. Then, a few stitches are placed to close the incision and permanently conceal the implant. 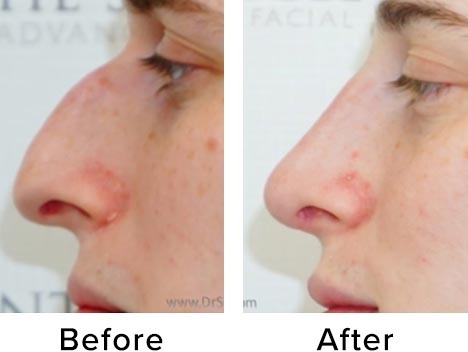 In some situations, a sliding genioplasty may be performed. This is when a small piece of the jaw is moved forward. The results can be dramatic! After surgery the chin may be swollen and tender for one to two weeks. Some bruising around the chin is also common. A mouthwash is used after surgery to keep the incision clean and antibiotics are prescribed to avoid infection. While you can go home shortly after the procedure, it’s best to plan on resting for the first few days. Most people feel ready to return to a regular routine in about 5 or 6 days. All strenuous activity, such as exercise, should be avoided for four weeks following the procedure. Intense exercise like running, yoga, aerobics, and weightlifting may be resumed after 6 weeks. Similar to the cheek augmentation surgery, a chin implant can be performed right in the office. This is a great way to achieve balance, beauty, and even a nicer neck. What are you waiting for? Talk to us today!